Sweet bungalow tucked away on a small quiet street near all the conveniences that Arnold has to offer. 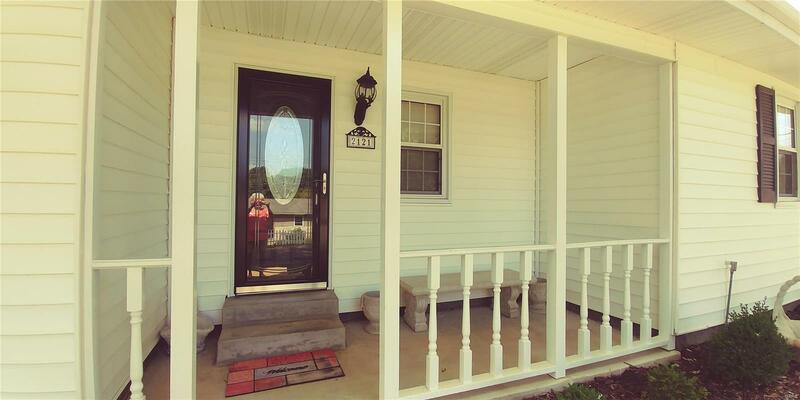 Great covered front porch with beautiful leaded front door opening into the Open and spacious great room, dining room and Kitchen. There are 2 spacious bedrooms and sun porch with lots of updates like new furnace and a/c in 2015 newer Kitchen with granite countertops Newer roof, vinyl siding, fascia and soffits . There is a newer 2 car garage, a storage building and beautiful newer concrete patio, walks and driveway just outside the sun porch door.